Lock in a great price for Aressana Spa Hotel & Suites - Small Luxury Hotels of the World - rated 9 by recent guests. Excellent location with friendly, professional staff. Unique interior. Wonderful breakfast. Great dinners (excellent cook!) at a reasonable price. We loved our stay - were given a quiet room with semi-private pool which was a lovely surprise. 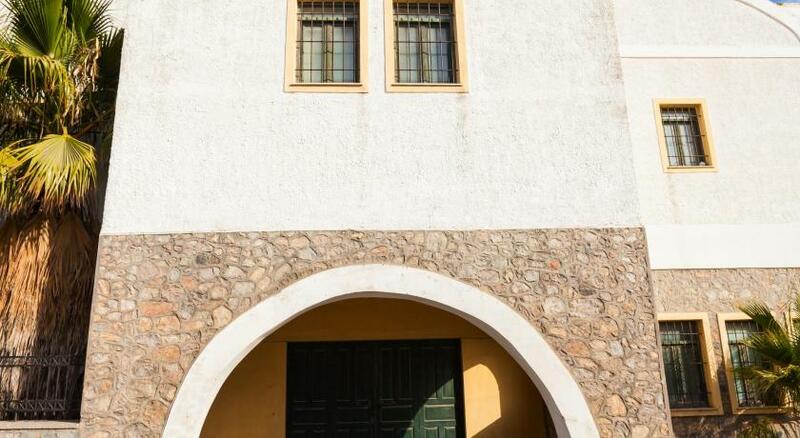 Fantastic staff, great breakfasts, super clean and an oasis of calm at the top end of Fira. We would stay again even though it’s not on the Caldera side. This hotel is comfortable and the location is very convenient. They provide a very high quality breakfast and the food is wonderful. .All staff were fantastic. Nothing was too much trouble- always smiling & polite. No problem getting sun beds which were very comfortable. Food excellent although like everywhere in Santorini quite expensive. Everywhere spotlessly clean. 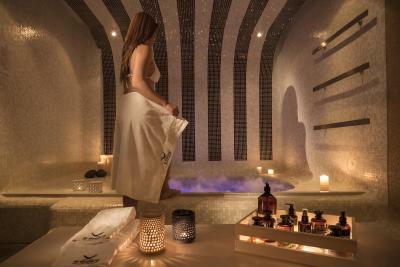 Guests can indulge in beauty and relaxation treatments at the hotel’s Tefsion Kallos Spa. 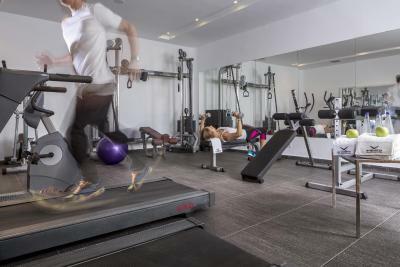 There is also a well-appointed fitness centre on the site. 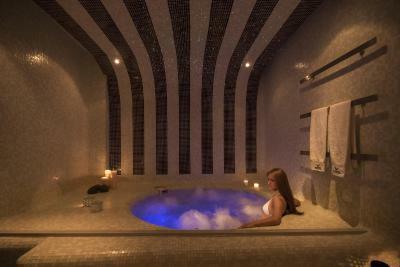 Aressana Spa Hotel has many little hideaways where guests can read or just relax. 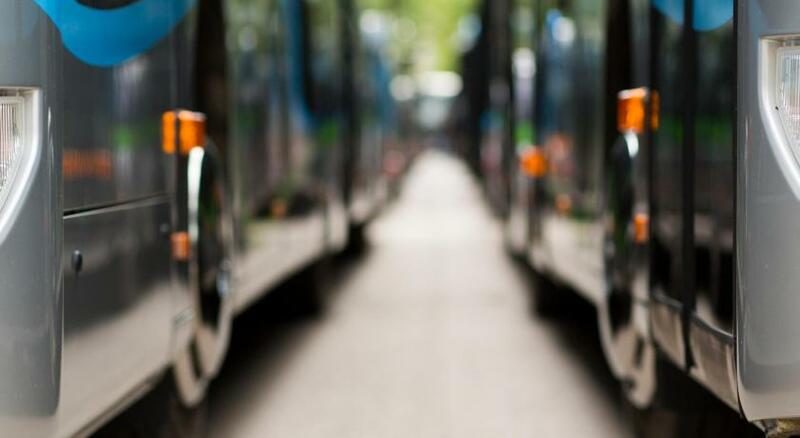 The hotel is well-serviced by taxi and a bus station, located just 100 yards away. There is also a bank and post office close by. Santorini Airport (JTR) is 3.7 miles away and Athinios Port is 6.2 miles. 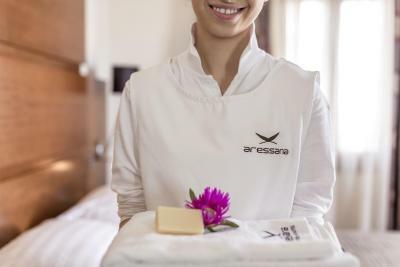 Aressana Spa Hotel & Suites - Small Luxury Hotels of the World has been welcoming Booking.com guests since 12 Feb 2006. 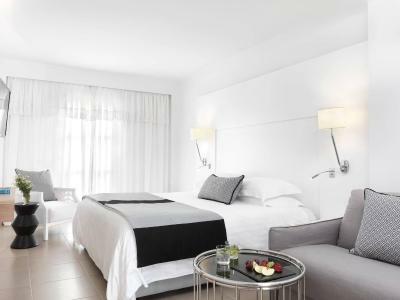 Spacious rooms with modern décor equipped with furnished outdoor patio or terrace. Most are located on the lower level of the hotel, one flight of stairs down from the lobby. Complimentary bottle of mineral water and soft drinks are provided on arrival day at mini bar and a homemade local sweet to welcome you. 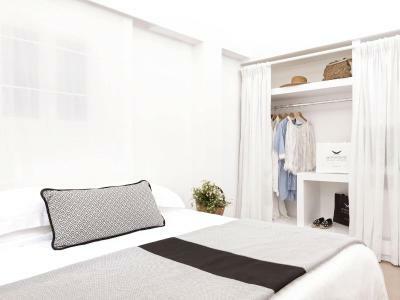 A 3rd person can be accommodated in an extra bed upon request, at extra charge. These modern rooms are all spread around the first floor complex and all open out onto private furnished balconies. Many rooms feature views of the East side of the island towards the sunrise or have garden views and few face the swimming pool area. Their private bathroom has a bathtub. This spacious accommodation type is either an open plan or offers 2 separate areas. It has a furnished patio with garden view. The patio provides direct access to the heated shared swimming pool. 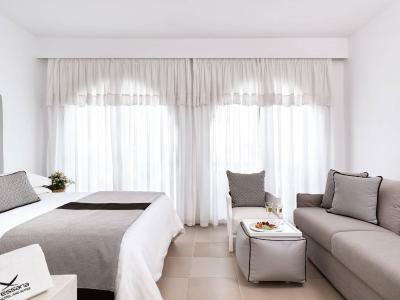 The Suite includes a bathroom, one bedroom with 2 twin beds or a king size bed and a sitting room with either a double sofa bed or 2 single beds. Both areas are air-conditioned and appointed with LCD TV. Situated on the highest level, this luxurious suite comes with private a hot tub on its balcony. It has a bedroom with a king-size bed and a seating room with a pull-out sofa. Both rooms open onto balconies with distant sea views. Complimentary drinks on mini bar, a bottle of sparkling or local wine with fresh fruits and a homemade local sweet to welcome you. Complimentary bottle of mineral water replenished daily. Not suitable for 2 separate couples due to limited privacy and bedding set-up. House rules Aressana Spa Hotel & Suites - Small Luxury Hotels of the World takes special requests - add in the next step! 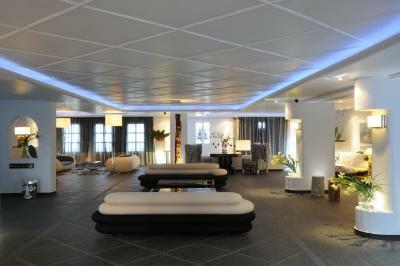 Please inform Aressana Spa Hotel & Suites - Small Luxury Hotels of the World in advance of your expected arrival time. You can use the Special Requests box when booking, or contact the property directly with the contact details provided in your confirmation. It sometimes got noisy at night with other guests returning from a night out, but that has little to do with the hotel accomodation as such.